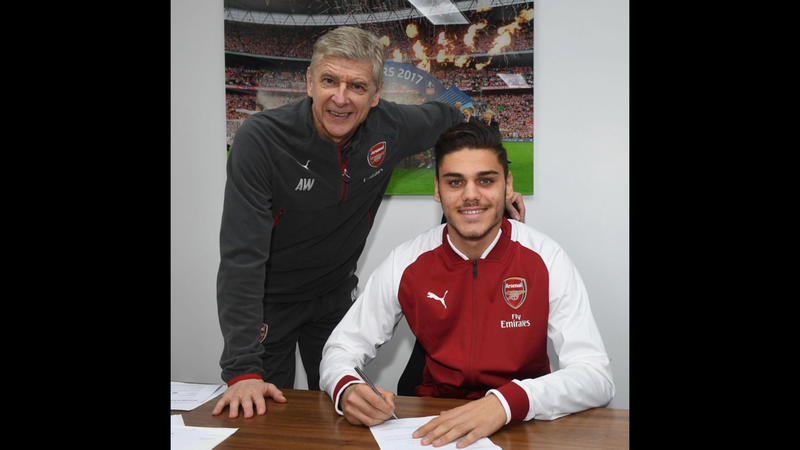 Arsenal have announced the signing of 20 year-old Greek defender Konstantinos Mavropanos from PAS Giannina. According to SkySports. Mavropanos’ main strengths are his dynamic play, mainly his ball-winning capabilities and aerial prowess and as a defender, he has a knack for scoring goals. According to the Guardian, based on the interview with the Greek National team manager, Mavropanos is a work in progress, a player with a lot of potential, his assets are his height at 6ft4 and aerial prowess. Is this Wenger buying for the future or trying to address the immediate problem? Arsenal conceded over 50 goals in 2017, the highest in a calendar year in a long time and the defence always look suspect and so make sense to reinforce the squad in that department, but you would also expect the reinforcement to be a player that is ready, with little knowledge about the new player, it is hard to say what the sense is here but judging from the Greek National team manager’s comment, Mavropanos is nothing more than a potential right now. As an Arsenal fan, i join the rest of the fan base all over to welcome you to Arsenal Fc and wish you best of luck.